This week has been a short week. We had an inservice day to discuss SLO’s for everyone. It is hard to write a SMART goal for me when I only see my kiddos once a week for an hour…so if anyone has any ideas, wow…send them my way. We have 8 teachers in our district in the same boat. The question is…do we write a math goal to go with the classroom teachers, a writing goal to go with along with the classroom teachers, or do a separate science goal? This is also hard because right now we do not have a common assessment. Maybe, that is what we need to do first. What does your district do for smart goals for science? As for FOSS next week, kindergartners are learning about weather and what a perfect time to learn about shadows due to Ground Hog’s Day next week. Here is what we did… We started off by checking the weather...it is snowing again. Five inches projected. We then talked about how fun it is to walk into Mrs. H's room and put their hands in front of the projector. I asked them what they see when they do that? I projected a blank screen and put my hand in front of the light. We discussed shadows. We experimented with how to makes a shadow bigger and smaller and what makes our shadow disappear. We need light! Bigger is when it is closer to the light and smaller when it is farther away. I then showed them the shadow video...they loved it and wanted to do that too! We also made shadow puppets in front of the projector with our ground hog picture. The students wrote a sentence to show what the ground hog was going to do. 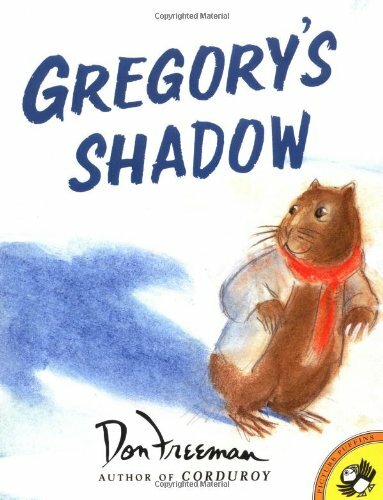 We read Gregory’s Shadow to help them find a shadow in the room. I used the TPT free download for inspiration. I showed them several lessons on how to change the size of the shadow and what happens when there isn’t light. For first grade, we are continuing to work on balance. I started with our vocabulary words: staple, unstable, counterweights, and balance point. I asked them to look at a picture of a high wire walker to use the vocabulary words. Pierre Petit has a great collection of you tube videos. We started with the pictures. Then we read Mirette on the High Wire. I then gave them a chance to work with Mirette and Bellini. I gave them the arch (Bellini) and the triangle (Mirette). I asked if they could get them to balance on their own. Then I asked them if counter weights would help keep them more stable. We gave them the popsicle stick for the table and asked them to use the clips to stabilize Mirette and Bellini. I then gave them the stable balance sheet to work on as the learned balance point and where the weights are. We did a few together and learned to predict the outcome as we learned what “top heavy” was. I made connections and shared times that things can be top heavy. Carrying a too heavy load of groceries, a muscle man, a pregnant lady, the game jenga. To finish up on the balance lesson we watched a video of the tight rope walker Phillipe Petit as he crosses two buildings. 5. we then read the book Snowmen All Year from the site We Give Books. It is a free site to join...and great books I might add! 6. we then listed what we could do if snowmen could be around all year... go on a picnic, rollerskating, swimming to name a few. 7. then we measured again...melting away after 30 minutes...half the size and getting skinnier! 8. We even wrote a snowman sequence story with cards I found on line. 9. We even made predictions as to what was going to happen over the weekend. We also asked questions: why no water at the bottom? Why condensed? Why so compact after it being full? 10. Next week, we will share the stories and the outcome. Our third graders are working on the water cycle for the next two weeks. We started with the book Cleopatra's Tears. We watched a quick video on the water cycle, next. We followed it up with the Water Cycle Hoe Down I found on TPT by Jenna Rupp. Kids love it! We then moved on to a water cycle demonstration...also found on TPT by Laura Candler. We also worked on two sheets that I bought from TPT Science Penguin. I love TPT! As for my fourth graders...I am still working on ligaments and bones. We created the leg model and played soccer with the legs and marbles. I also tried ticket out the door in a new way...I gave them each an index card for them to show what they know about ligaments and tendons after watching the video from last week's FOSS Friday. I checked them and put them in piles of understands and doesn't. I will meet with my doesn't understand group next week. I was impressed with their understanding overall. I can't wait until my first group of fifth graders on Monday. We are making George's Marvelous Medicine! Stay tuned... this week was a long one. I hope this helped make FOSS fun! You are an AMAZING teacher! I love all these lessons! I am doing shadows with my first graders as well! Forgive my lack of knowledge but what is a SMART goal? It sounds like a great acronym for a great goal setting device! But that's just my guess! I am going to have to use your shadow video with my first graders! Thank you for sharing!